Ever since I was a little kid, I have wanted one of those barbie doll skirt cakes. hmm. . . I was hoping for the pink one to win the Oscars contest, but that’s fine. Your work is beautiful, and I can’t wait for Friday! That may have been the closest contest I’ve ever run! OK, you have peaked my interest. I could even consider playing this game. How do I do it? I mean how do I access it or get into it to play. I am totally new at this. Once you have that installed, you can search the store for Broken Age, buy it (I think it’s like $25?) and install it. Steam makes it pretty easy, no CDs or fussy things. This is another potentially good wedding dress. 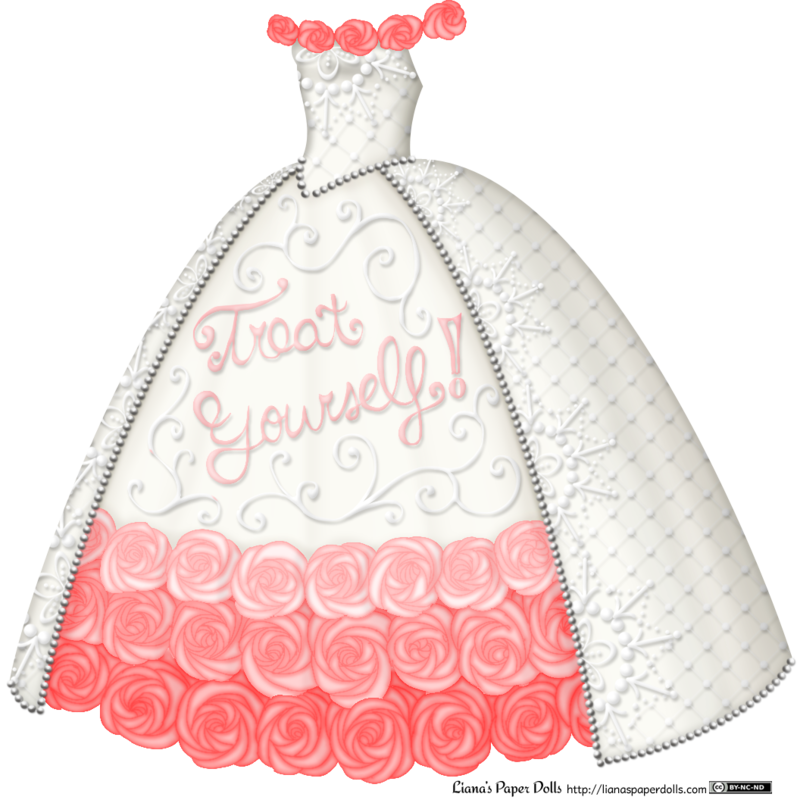 Of course, I’d eliminate the “Treat Yourself” on the skirt. The pink in the rosettes is a break from the usual complete white dress and I really like breaking with tradition sometimes. it would even be pretty with red rosettes. Yeah, when I did the black and white version I took out the “treat yourself” so people can color it without the goofy game reference :) I’m glad you like it!